This novel has elements of family drama, bloody horror, mystery and history. 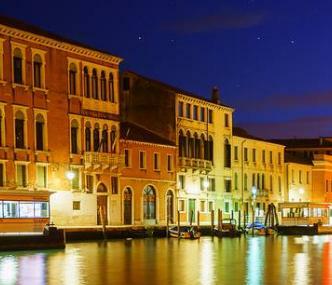 Half of the novel is set in the past, during WWII in Venice, Italy. What starts the story off is the purchase of a piece of hand-written sheet music for a waltz, in a store in Rome, Italy, by the musician protagonist, Julia, in the present day. Her present day life becomes altered, and she is certain the sheet music is to blame. We then switch to the past, and meet the man who will ultimately compose the musical piece. 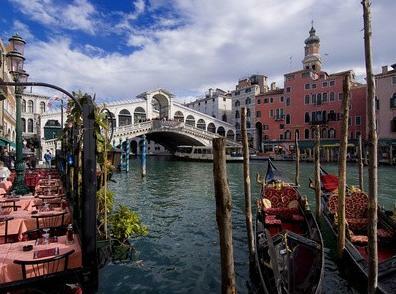 Lorenzo lives in Venice, Italy, and he is Jewish. The reader sees the progressive exclusion of Italy's Jews through ever more horrible laws. Boiling a frog comes to mind, with the local residents adapting to each progressive step, without seeing that it would lead to the Holocaust for Italy's Jews. This is a novel written with a specific purpose in mind, to document the fate of almost every last members of Venice's Jewish community during World War Two, death. The author provides an Afterword that explains her intentions, and that she wished to recall the suffering of people at the hands of really evil people, and to honor the good people too. Another reason was to show the power of music to inspire and to change lives. The novel alternates the narrative between the point of view of Julia in the present, and Lorenzo in the past, using the present tense for the modern day events, and the past tense for the historical events. Present tense use is very popular these days since it gives an immediacy to a story. I feel I must give a warning about a scene when a cat is killed in a horrific way, just off scene. As Julia's horrors progress in the present, Lorenzo's horrors progress in the past. If you dislike horrors, this is not the book for you! I found the book creepy, sad, very depressing, and the plot a bit too thin. The plot felt more like a construction made solely for the purpose of writing a Holocaust novel. Personally, I prefer to read non-fiction about that time, since the truth of that era is more twisted and horrible than any fiction writer can ever possibly imagine. 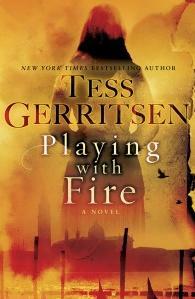 But if you enjoy Holocaust fiction, and Tess Gerritsen's writing style and penchant for horror, then you should enjoy this book. If you happen to be a musician, too, you will enjoy it even more. 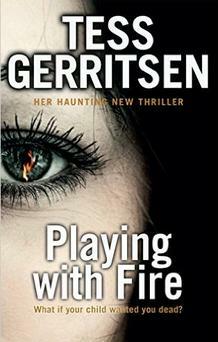 Tess Gerritsen, the New York Times bestselling author of the Rizzoli & Isles series, now gives us a gripping stand-alone thriller. In a shadowy antiques shop in Rome, Julia Ansdell happens upon a curious piece of music—the Incendio waltz—and is immediately entranced by its unusual composition. The mournful minor key and complex feverish arpeggios appear to dance with a strange life of their own. Back in Boston, when Julia plays the notes for the first time, the music has a terrifying and unexplainable effect on her young daughter, who seems violently transformed. Determined to track down the music score's origins, Julia travels to Venice—and uncovers a dark secret that not only dates back to the Second World War, but also directly involves a dangerously powerful family who will stop at nothing to keep Julia from bringing the truth to light. Here is a direct link to the book's Amazon.com page. Beware of different covers for this same book, so you don't accidentally order the book twice!